The Fellowship was fortunate enough to obtain a copy of THE NEW GHOSTBUSTERS #1 from IDW Publishing. Erik Burnham writes, and Dan Schoening draws. The boys have disappeared, and no one has been able to figure out where they’ve gone. Or been taken. Janine has managed to keep the doors open so far, but now she’s having to find someone to help her do some actual ghostbusting. But then Peck shows up and takes over, forcing her to take on a new ’buster. I like this kind of story. It’s big, and it makes sense, and you wonder how they haven’t thought of it before. But it really shakes things up, even if only on a temporary basis. And these are just the kind of characters you’d expect to be hanging around the Ghostbusters. I’d say I was happy to see Peck even, but he’s just so unlikeable. But that’s what makes him a great foil. I like the start of this new title. There’s good storytelling going on here, and who the heck doesn’t love the Ghostbusters? There, I said it. Now keep ‘em coming, boys. 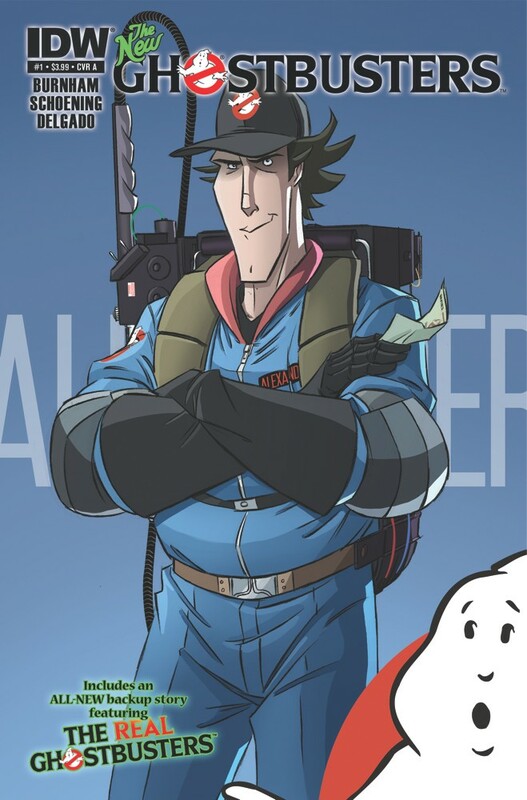 THE NEW GHOSTBUSTERS #1 is available now at your FLCS or by order from idwpublishing.com.